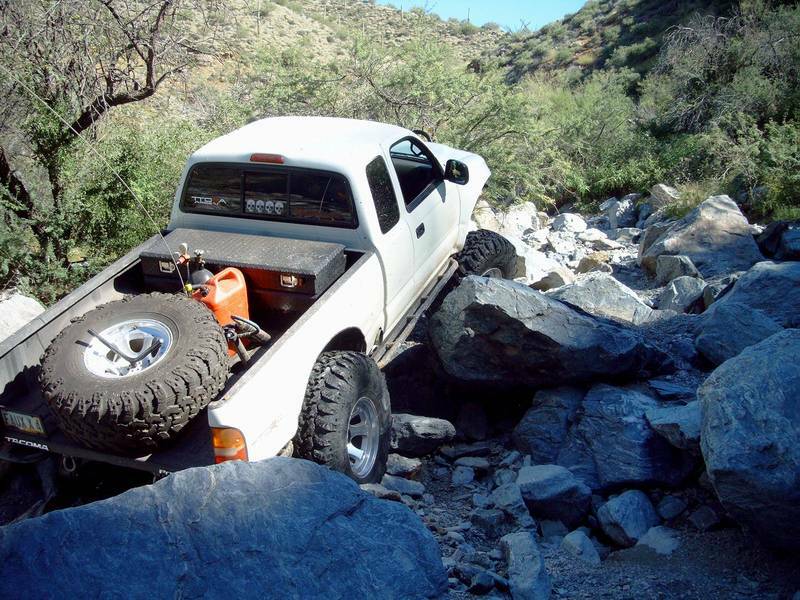 The life of this 98 Taco is a story of resurrection....started life as a 2WD Pre-runner converted to 4x4....kept the factory 2.7L 4 cylinder engine...kept the auto...added a Marlin crawler 2.28 reduction crawler between the auto and chain driven factory transfer case. 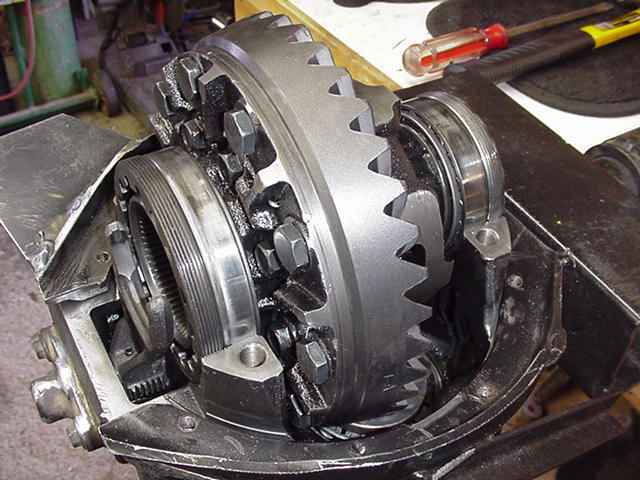 That's more than enough power to turn the 39.5" IROC Radials with 529 gears. The front/rear bumpers and the sliders were all fabbed in combination by Eric and a skilled fabber named Josh who owns Bent Creations shop in Phoenix. The factory 2.7L engine has excellent power...its 150 horsepower puts it in V6 territory. That and the 2.28 crawler box gives it power to pull pretty much whatever it wants to. I know there are 2 other Tacos, a 91 Jeep, 85 Runner, and a 91 Runner that have been pulled or rescued or at least assisted off the trail by Eric's Taco as testimony. 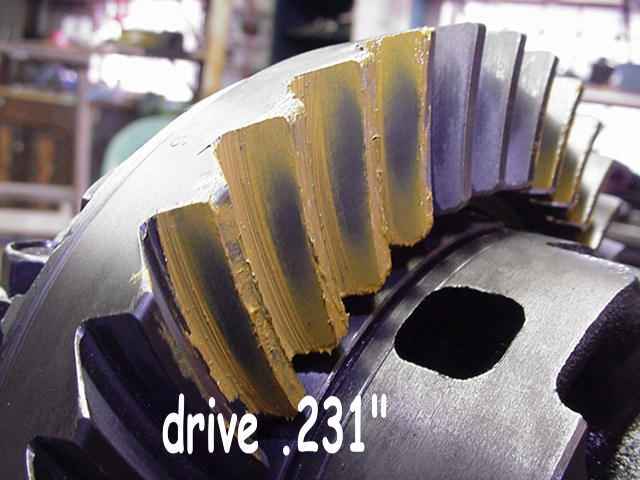 A 2.7L with auto should not break a properly installed set of 529 quality gears in a sanely driven Taco...even on 39.5" tires. 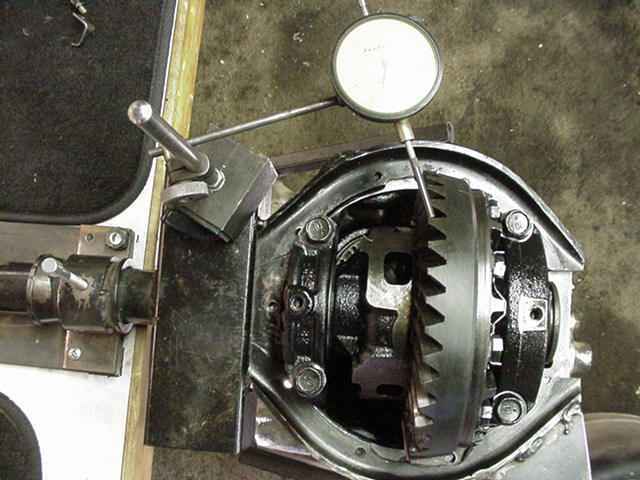 Eric is not a throttle jockey so a closer look at the gear install is next. 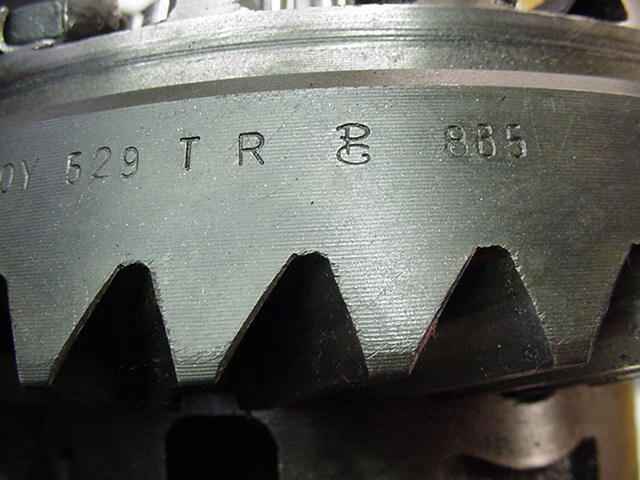 The new ring and pinion came in a PRECISION box but the usual 'PG' symbol is not to be found. These do set up very well in their defense. The busted ring gear was a PG brand....best of the best as far as I can tell. 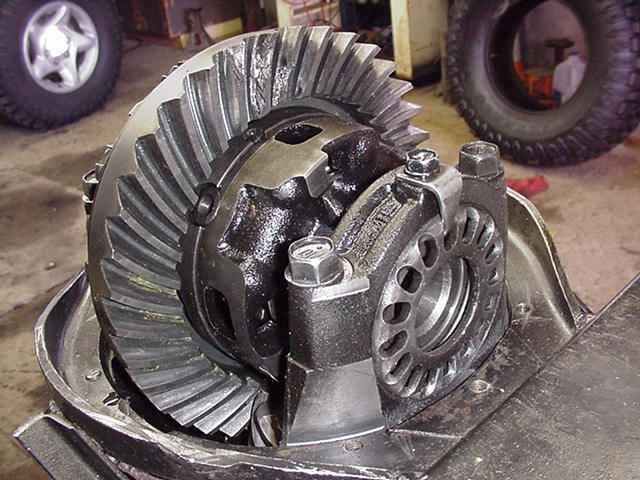 I'm not one to rag on the shop or person that set these gears up. I will only say it wasn't Eric. 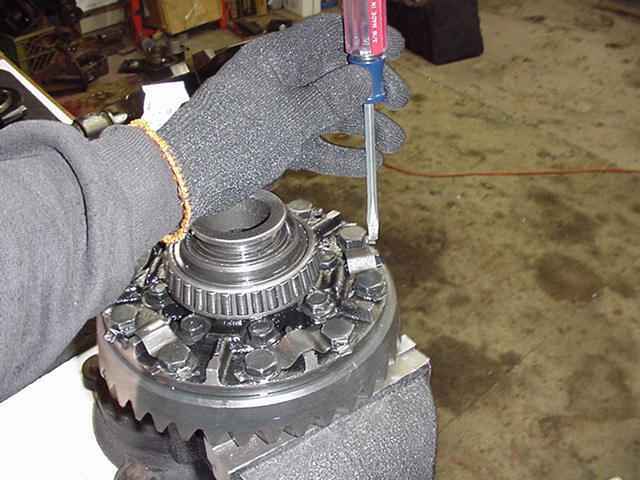 Before tearing down the old gearset, I chose to take some measurements. 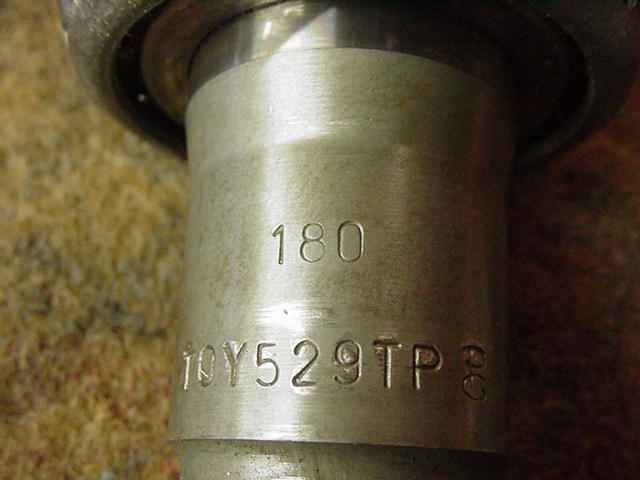 I found the backlash was very excessive at .017". 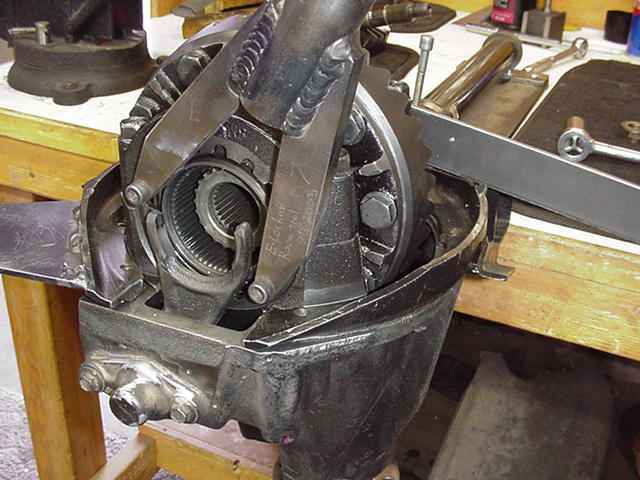 I also noted there was no CBPL...no tension on the carrier bearings and this allows the ring gear to deflect rather easy under load and bye bye ring teeth. Note::: These gears were not very old and had little time on the roads/trails. 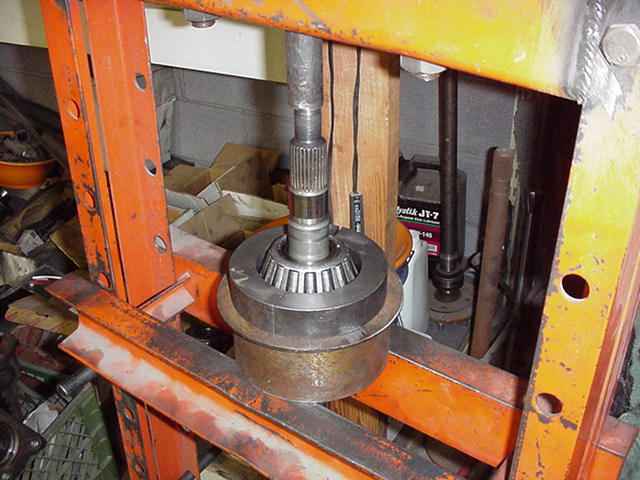 I measured about 2 in/lb of pinion pre-load which is a bit low but at least it had some pre-load. I did my best to pound it back out with a brass drift and grind it out with a dremel tool. 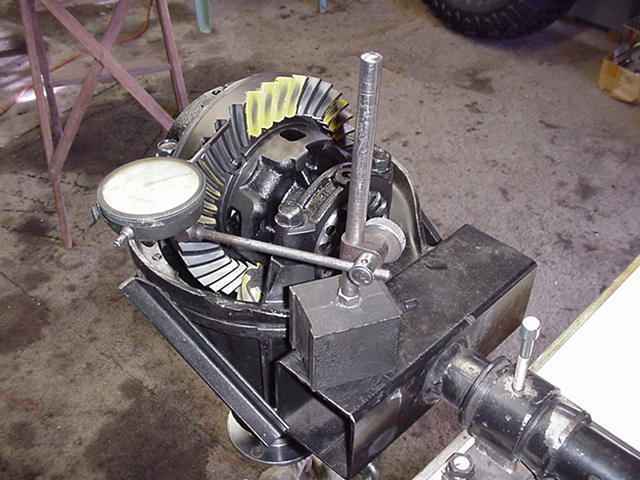 RTV will be my friend on this one upon seal re-installation. 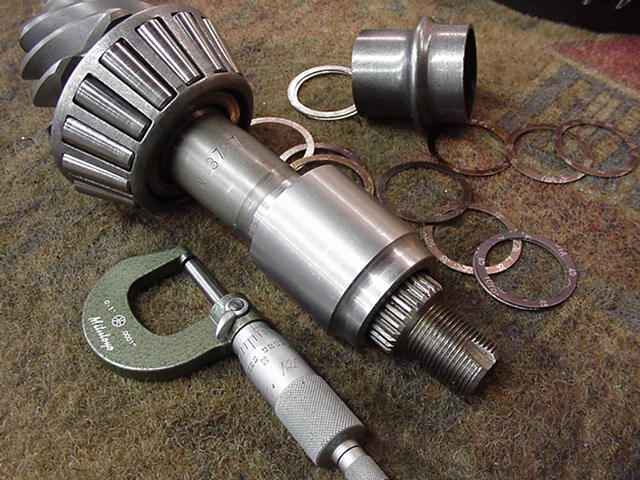 The pinion bearing comes off with no damage with the right clam shell separator. 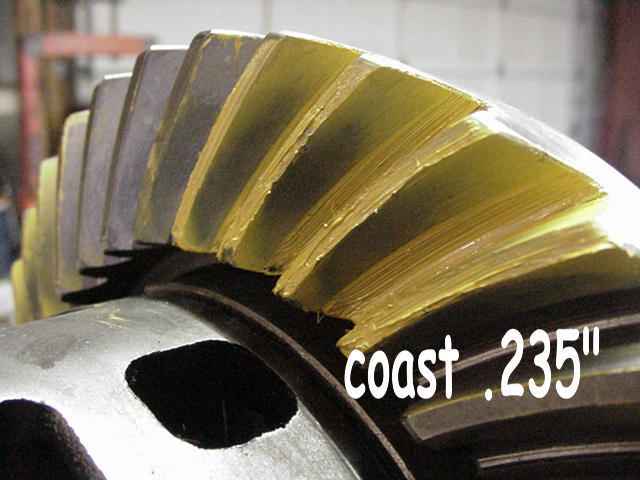 This is a "4 cyl ring and pinion" so I will start with .231" for the pinion shim. 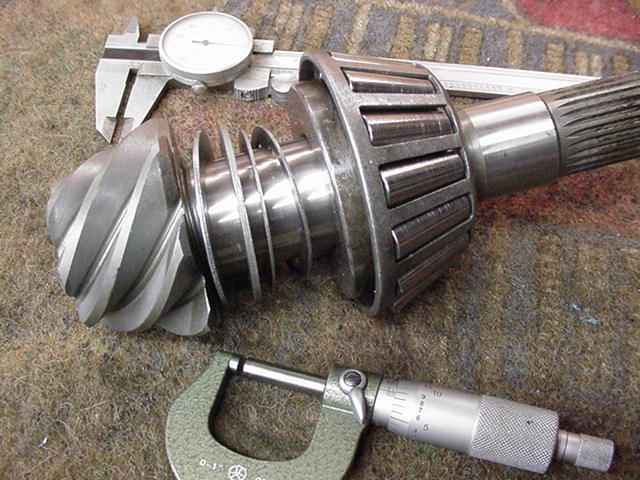 If this were a V6 pinion with the thicker head then I might try .080ish". 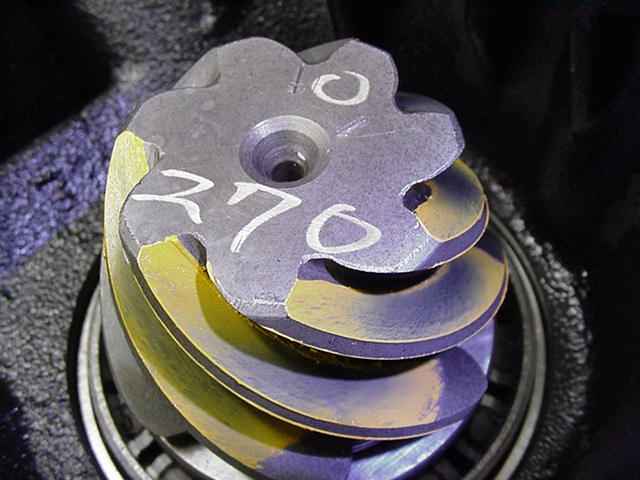 This will break some hearts but for the records...the V6 and 4 cyl ring and pinions are about the same strength. I am adding a solid collar to this build for more over-all strength and durability. 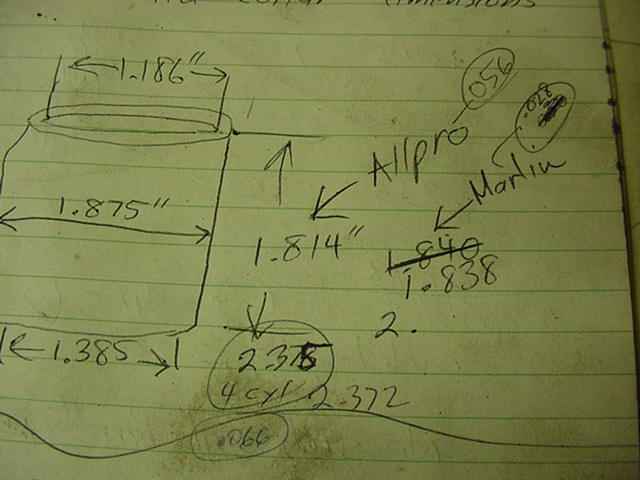 I referenced my messy notes and figure .028" for the solid collar shim pack but that's only if it has new bearings....these bearings are used so I will try .024". 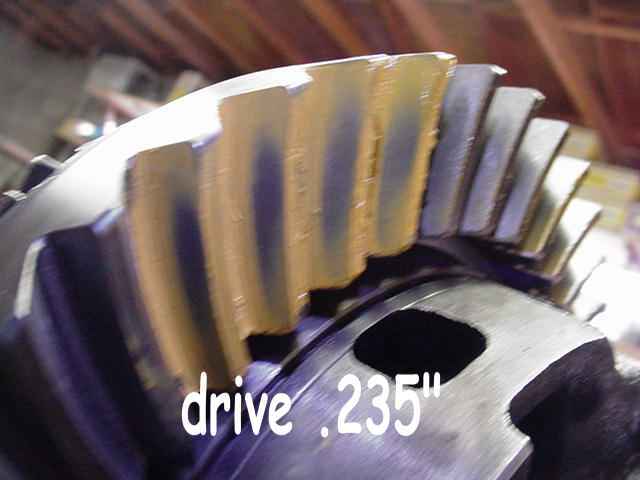 As it turns out, 024 was not even close so I tried .014....that was not much better as the pinion was still sloppy so I tried it with NO shim and pinion pre-load was just about right aproaching 10 in/lb. This is very unusual to have no shim pack at all. 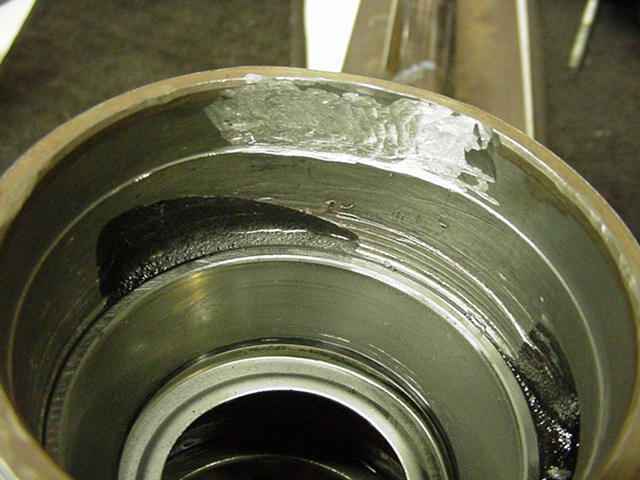 This indicates well used bearings. 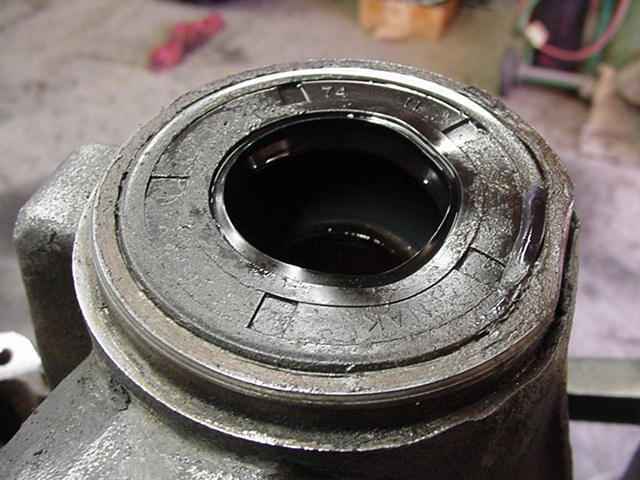 I re-inspected the bearings and saw no pitting or other obvious damage so I was ok with re-using these. 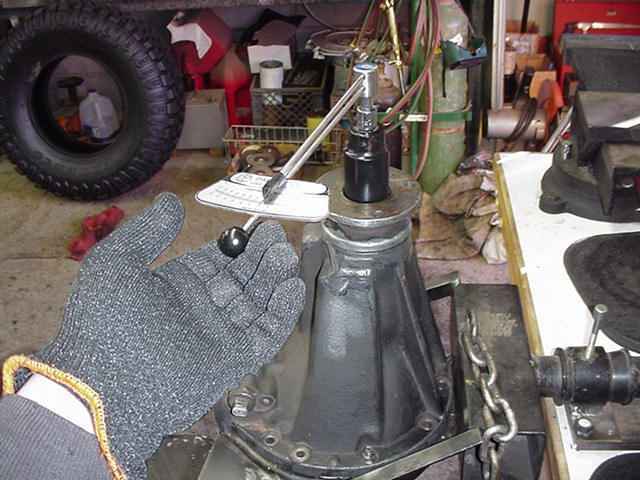 I'm very careful to align the spanner ring adjusters in the threads correctly. 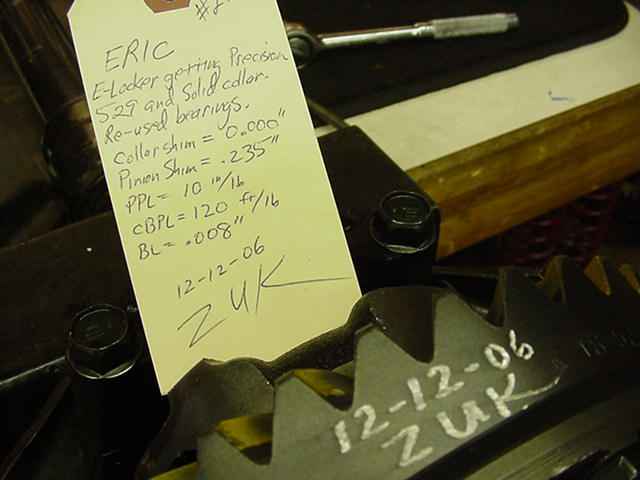 I have a ZUK fabbed tool for each size of spanner ring...the screwdriver and hammer technique just does not work all that well. 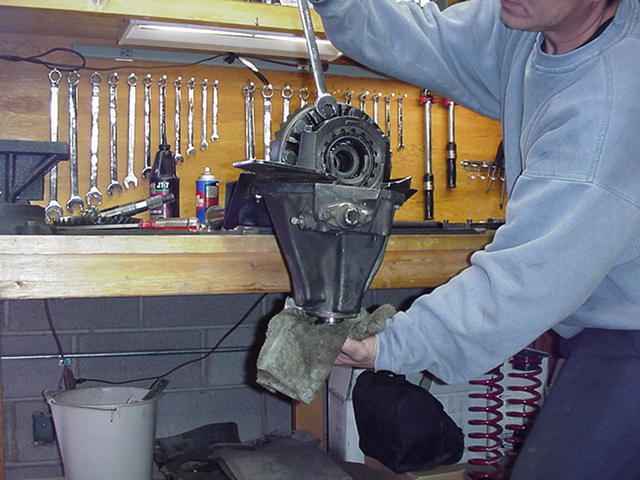 I hit the surfaces with a hammer while turning the pinion. 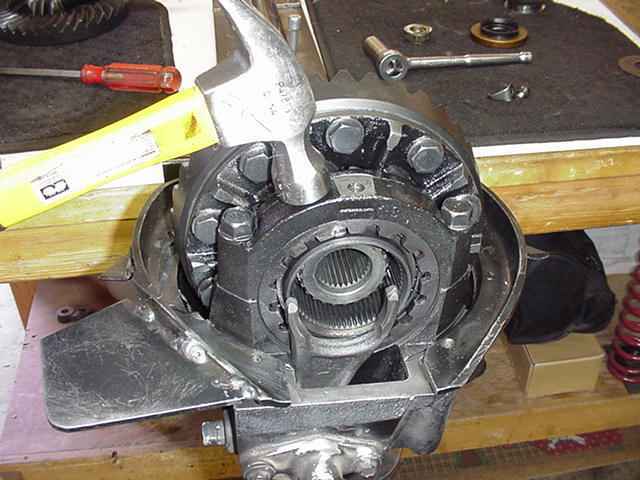 This allows the carrier bearing to "slip" into equal tension. Not doing this at the end of the install might mean the backlash will shift out of spec 100 miles down the road. 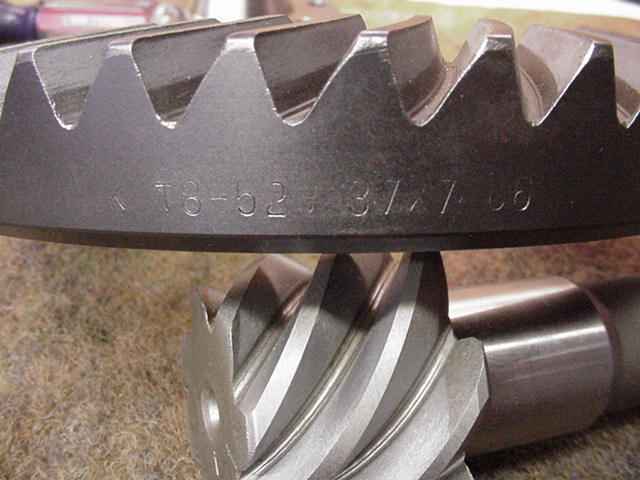 I painted 3 or 4 of the teeth and use the "rag on pinion yoke and wrench on ring gear" technique to develope a very clean pattern. Pattern is centered but appears slightly shallow based on the shape of the "fish". 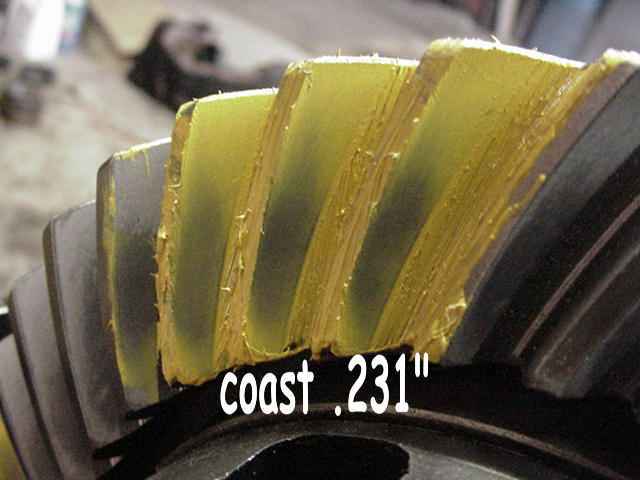 The pinion paint appears to favor the root which confirms that the counterpart ring gear is a little shallow. Fuzzy shot but this is the new pattern with a 4 thou thicker shim....this is very good. With all the grinding I did on the right hand side, there will be some air gaps and the use of Ultra-Blue RTV will seal everything nicely. 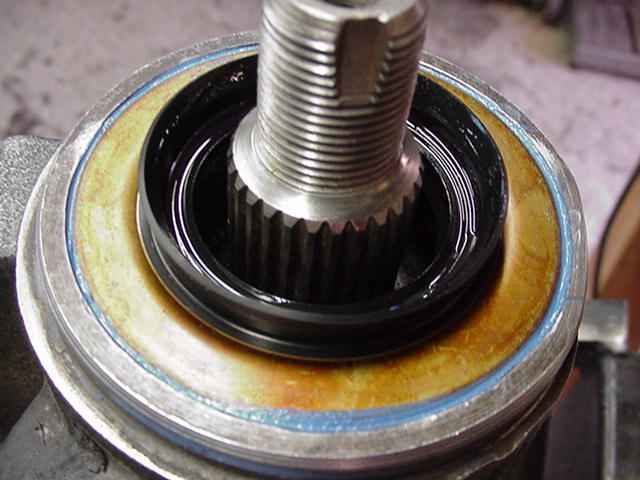 The rubber lipped seal has a coating of gear oil to prevent a dry start-up.